Woke up today and when I looked out our cabin window, I had this strange feeling as if we were floating in the sky. 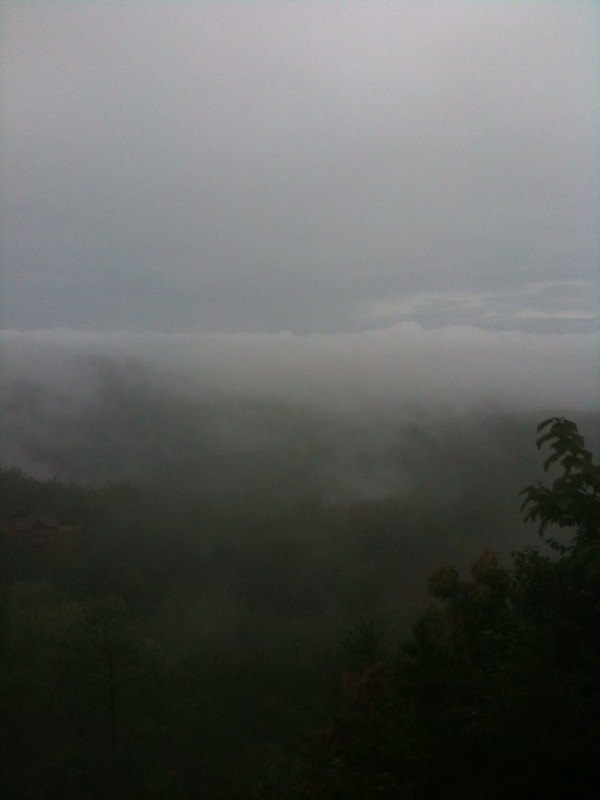 As it turns out, it was just very foggy within the valleys and we could see the top of the lower cloud deck. However, the forecast for today has us under a flood watch with a 90% chance of heavy rain. We experienced a good bit of rain yesterday so with the heavy rain today, shouldn’t be hard to cause flash flooding. Here is a snapshot of what it looked like this morning. I think today we’ll be doing inside stuff such as Ripleys Aquarium and some other shops.